If you’ve got a Macbook, you’ll be aware that, as much as it feels great to bring out such a great-looking Apple product in a coffee shop, it can sometimes feel like yours is just the same as everyone else’s. From the funny to the pretty, we’ve found our 12 favourite decals and stickers to make your Macbook stand out from the crowd. Plus, if you’re not an Apple user, they fit any other laptops too. 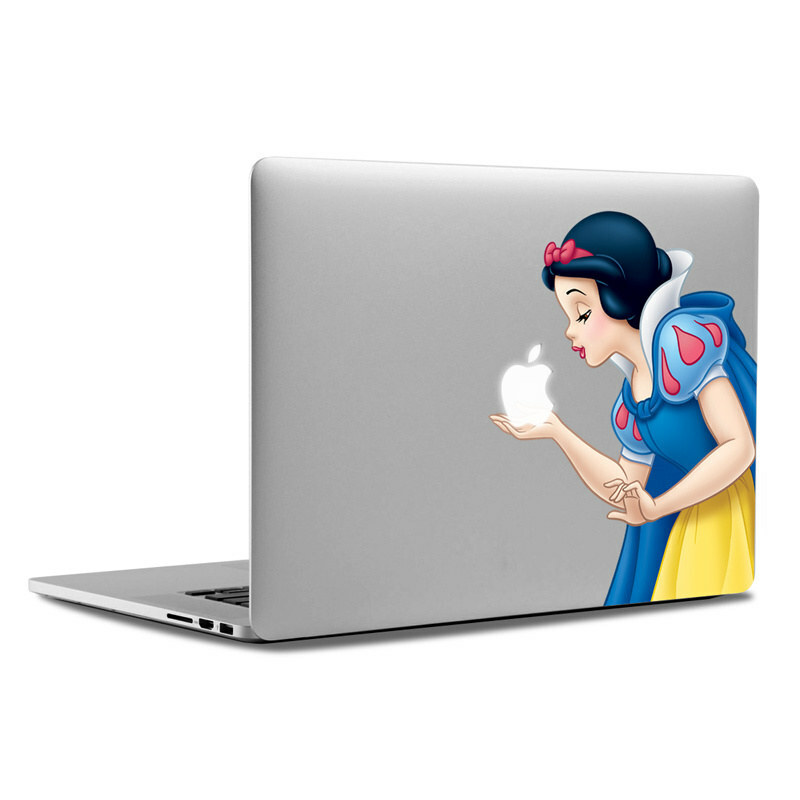 We love Disney princesses and we love this very clever decal. While Snow White wouldn’t be our first choice for princess (we’re more of an Ariel or Belle fan), she’s the most fitted to holding a half-eaten apple, for obvious reasons. This is available to buy from DecalGirl for $14.99 (£9.80). 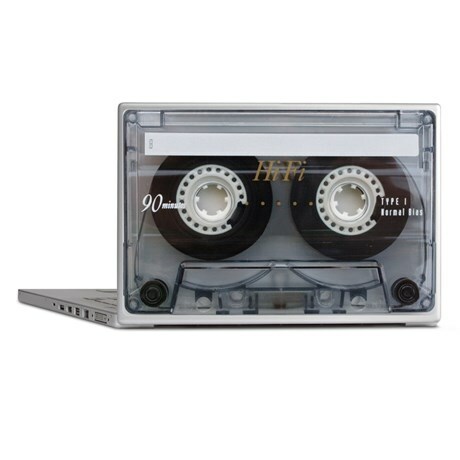 Remember cassettes? Now you can confuse all of the yoof by turning your laptop into one. They’ll have no idea of what it is, which just makes us feel old. This is available to buy from CafePress for £16.50. We love this very cute and funny decal. However, now that we’ve seen it, we feel like the apple on our Macbook is devoid of a personality. This is available to buy from Mac Decals for $9.99 (£6.55). 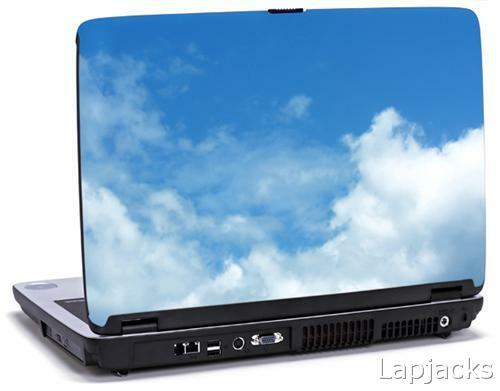 This laptop skin reminds us of the Windows XP background you used to get. We can imagine it making us feel lovely and relaxed looking at it before we open it up on a morning before work. This is available from LapJacks for £14.99. This pretty tree is so colourful and bright. It will act as a great centrepiece for your laptop, and make you happy just looking at it. This decal is available from Amazon for £4.75. 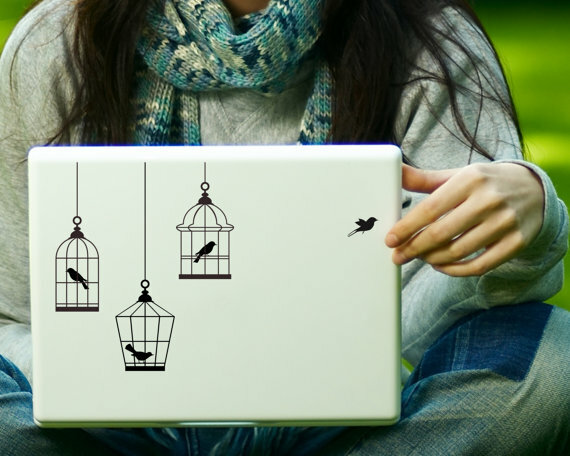 Birdcages are always a pretty addition to a piece of jewellery, and now they can make your laptop look gorgeous too! You can buy this decal from Etsy for £6.72. 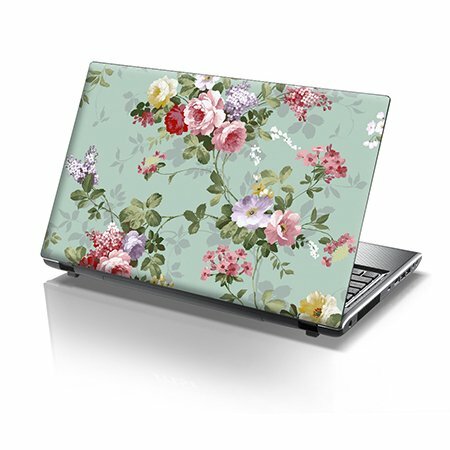 We love floral patterns at ShinyShiny, and this spring-style skin is gorgeous. 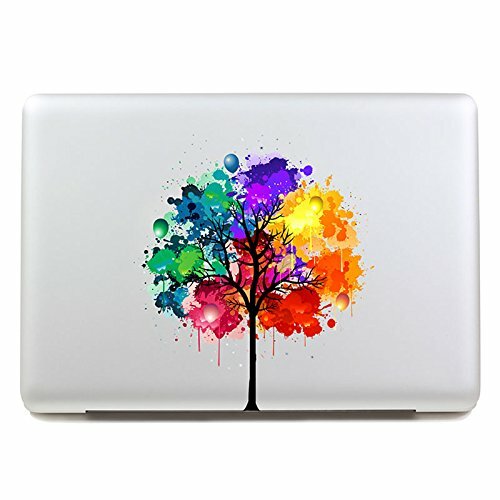 It will definitely brighten up your laptop. This skin is available to buy from Amazon for £6.99. We’re loving this super-cute decal from Etsy. 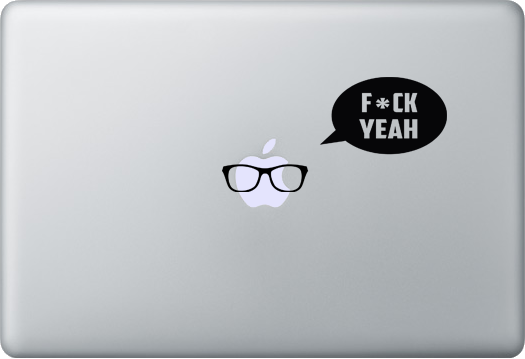 Incoporating the Apple logo into a decal is officially our new favourite thing. Oh, and we want our very own Bella the Dog right now. This decal is available to buy from Etsy for £10.75. 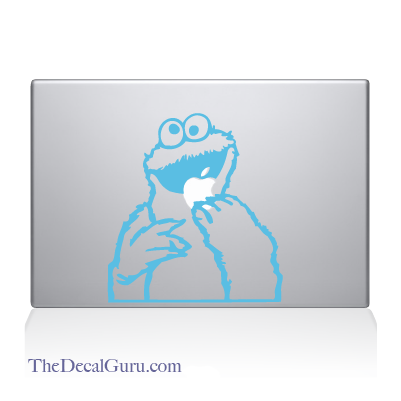 Cookie Monster should be renamed Apple Monster looking at this decal! Great for Sesame Street fans who want to relive their childhood. This is available from The Decal Guru for $11.99 (£7.86). 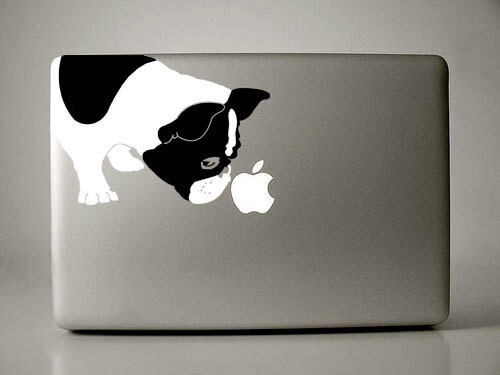 We absolutely love this hilarious decal, which incorporates the Apple logo perfectly! 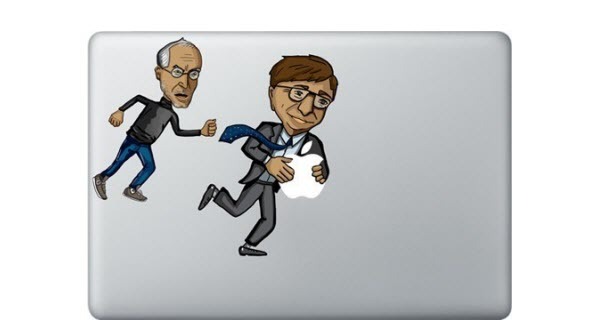 Whether you’re a diehard Apple fan or an Android obsessive, you can’t help but laugh at Bill Gates trying to steal Steve Jobs’ Apple. You can buy this from Apple Jam for $9.90 (£6.49). We’re still not over Breaking Bad finishing, and don’t think we ever will be. 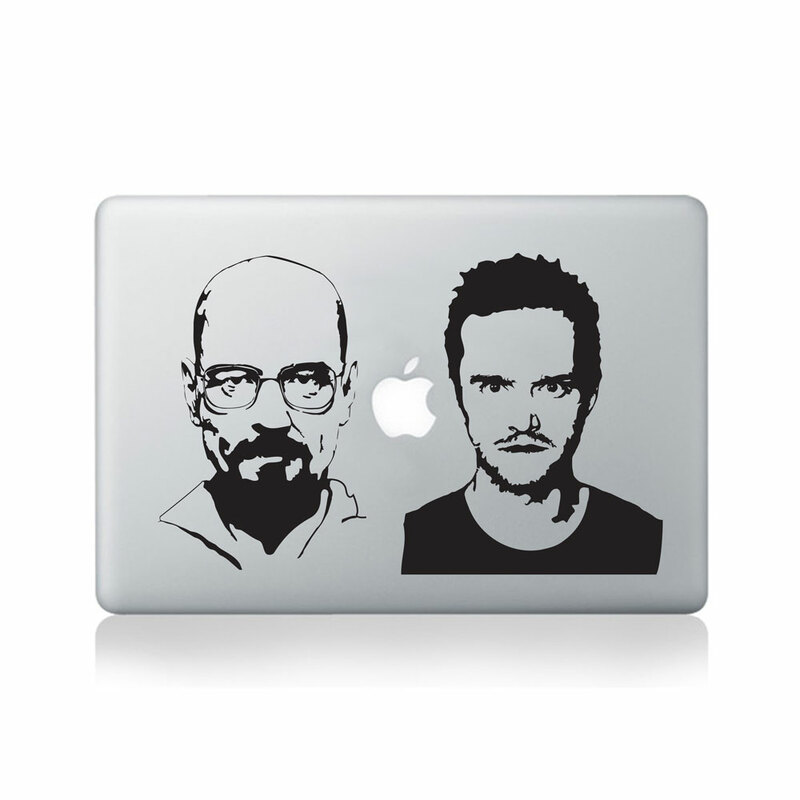 This Heisenberg and Jesse decal will make sure the pair are with you wherever you go. You can buy this from Vinyl Revolution for £13. 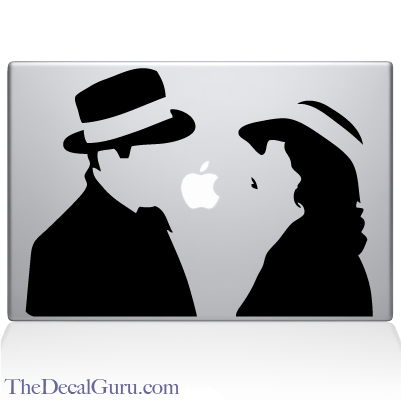 For the romantics, this Casablanca decal is really simple, but lovely. You can buy this from The Decal Guru for $10.99 (£7.20). My daughter would love these! Thanks for sharing.